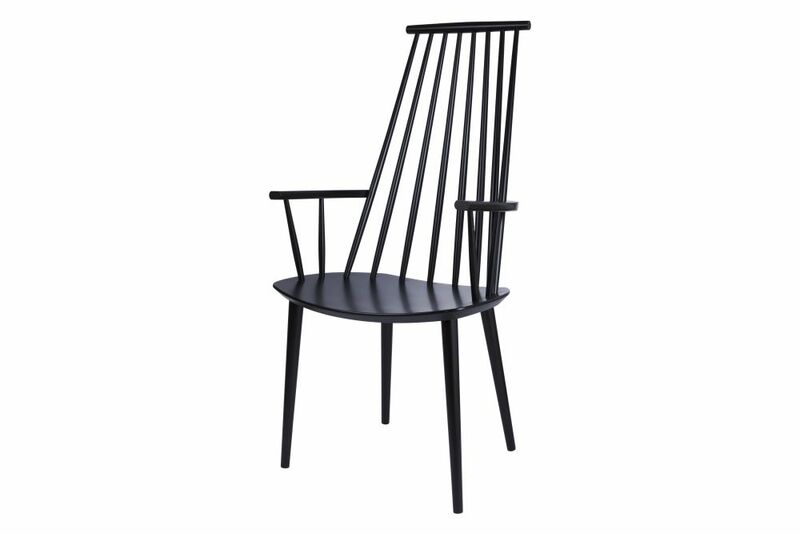 High-backed and with armrests, this is a Nordic and democratic version of a royal seat. The round poles form a cosy shell and give a calm, clean, regular expression. The wood gives the light and simple look slightly more gravity, and in the coloured versions, the J110 becomes a hyper-modern sculpture in the room, as the interplay between the slats and the light performs a delicate shadow dance on the walls and floor. Not suitable for contract.